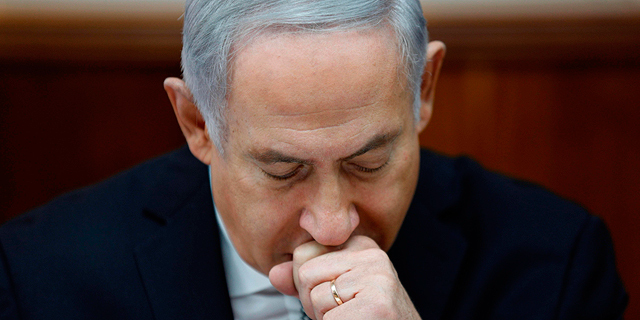 Zvi Zerahia and Tofi Stoler : 2019-01-24T14:26:55..
An operator for Israeli Prime Minister Benjamin Netanyahu’s Likud party launched a crowdfunding campaign to help raise NIS 1 million (approximately $272,000) to pay for Netanyahu’s legal expenses. As of Thursday at noon, nearly NIS 62,000 (approximately $16,800) were pledged by over 200 people. In December, Israeli state comptroller Joseph Shapira, an Israeli government watchdog, denied Netanyahu’s request to pay his legal fees using donations from his cousin, American businessman Nathan Milikowsky, and American millionaire Spencer Partrich. A committee that reviewed the request said it viewed as inappropriate the use of money coming from non-Israeli associates of Netanyahu to pay for legal fees in a case involving alleged benefits he may have received from associates. Mandelblit is currently examining the evidence to determine whether an indictment should be filed against Netanyahu on several charges of alleged bribery and attempts to manipulate the media. Earlier this month, Netanyahu submitted another request to pay legal fees using $2 million in donations. After reviewing the second request, Shapira sent a letter to Israel’s Attorney General Avichai Mandelblit informing him that Netanyahu has already raised $300,000 from Milikowsky, without obtaining the necessary permits. Currently live, the crowdfunding campaign was launched on Israeli crowdfunding website Giveback, a branch of Israel-based crowdfunding company Headstart Ltd. According to the campaign page, the man behind it is Moshiko Passal, a 29-year-old former TV reality star, currently running for a spot in the Likud for the upcoming general elections to be held in April. Though Israeli law permits political parties and candidates to use crowdfunding as long as they do not hand out money-equivalent rewards to donors, before Netanyahu uses the funds collected he will still need a stamp of approval from regulators. Passal described himself as a “concerned citizen,” on the crowdfunding campaign page, and blamed local media of “anti-democratic conduct” meant to pressure Mandelblit into indicting Netanyahu, who he believes is wrongfully accused. The Hebrew wording of the message bears a striking resemblance to previous remarks made by Netanyahu. Netnayahu’s personal wealth was estimated by Forbes at about $11 million in 2015, making him one of Israel’s wealthiest politicians to date.